New Kia Ceed – Now In Full Bloom. Keen to capture a share of the lucrative European family car market, the first-generation Kia Ceed (launched in 2006) was designed in Europe, built in Europe and sold exclusively in Europe. 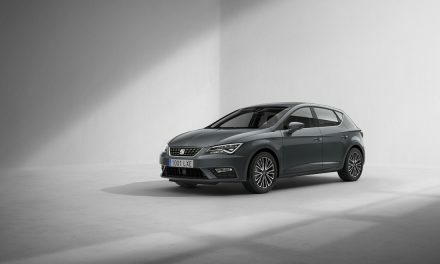 The second-generation (launched in 2012) adopted the same principles as its predecessor, and now, the recently launched third-generation, continues to follow this tradition. 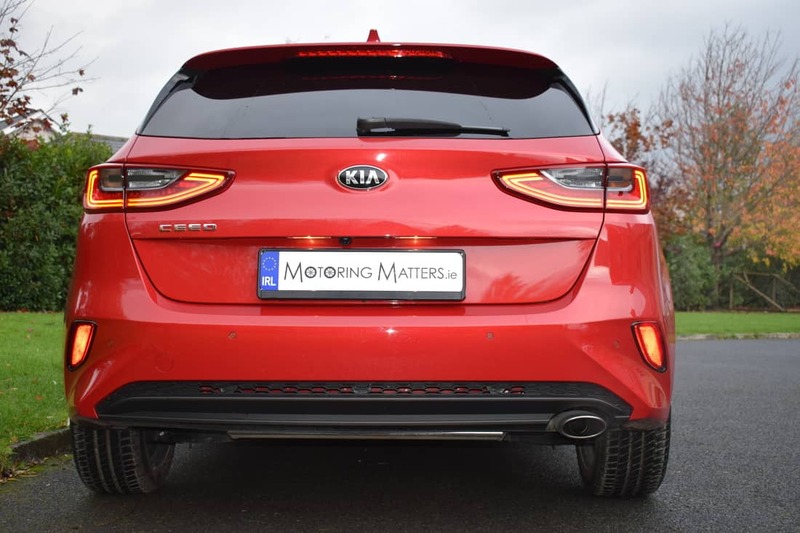 In fact, even the Ceed name is testament to how dedicated Kia are to looking after the motoring needs of its European customers, as the name is derived from the term ‘Community of Europe with European Design’. 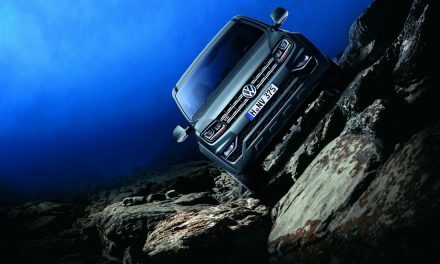 While the first, and second, generation models did have an apostrophe between the third and fourth letters of its name, the new model has dropped the apostrophe. With its dazzling looks, the new Kia Ceed invites you to take every journey as an expedition to more enjoyment. At the front, there is the familiar ‘tiger nose’ grille and castellated upper windscreen, while the swept-back headlight design and lowered, widened, front air intake is reminiscent of Kia’s stylish and sporty Stinger GT. Inside the new Kia Ceed everything is designed around the driver. The seamless horizontal layout of the instrument panel creates a roomy atmosphere. 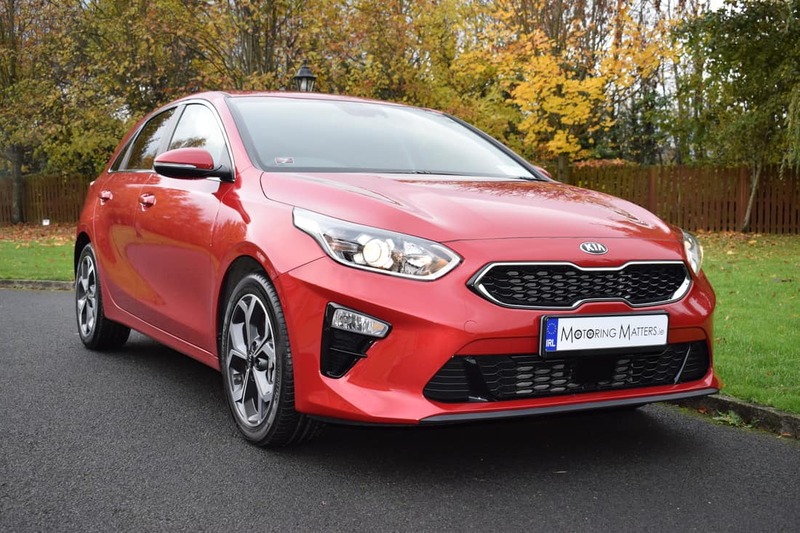 The new Ceed is based on Kia’s new K2 platform, which allows its width to increase by 20mm, while its roofline dips by 23mm for a sportier stance than its predecessor. The increased width provides occupants with more shoulder room than ever before, while a 16mm lower seating position provides greater leg and headroom too. The wheelbase remains the same as its predecessor, although the cabin has been shifted back by 68mm, giving the Ceed a ‘cab-rearward’ profile that improves occupant protection in the event of a collision while also improving visibility around the A-pillars. 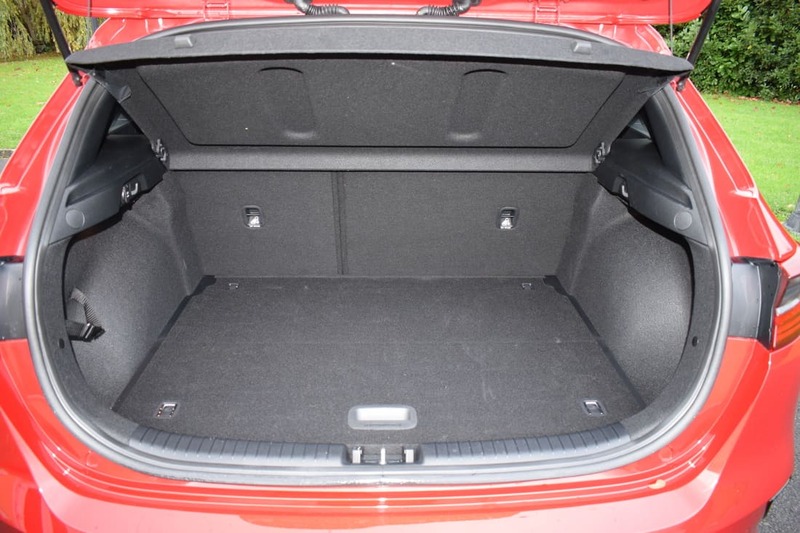 Boot space has also increased, with 395-litres available with the rear seats in place. This is 15-litres more than its predecessor and is very impressive indeed. 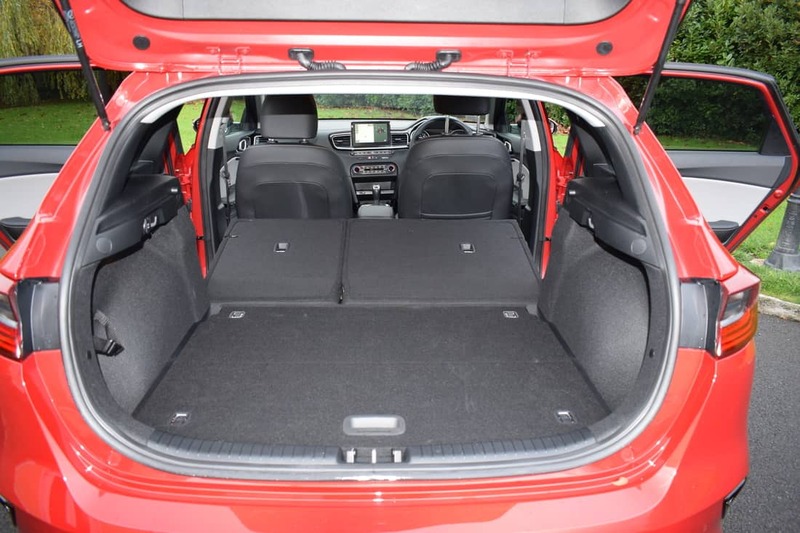 However, lower the split-folding rear seat backs and the available space increases to a generous 1,291-litres. Four trim levels are available in the new Kia Ceed – K2, K3, K4 and K5. Standard equipment across the range is very generous, with even the entry-level ‘K2’ specification coming complete with 16” alloy wheels, body-colour mirror casings and door handles, electric front & rear windows, auto lights with high beam assist, LED daytime-running-lights, front fog lamps, rear spoiler with high-mounted brake light, leather steering wheel and gear knob, arm-rest storage box between the front seats, split-folding rear seats with ISOFIX anchorage points, audio with RDS and DAB, Bluetooth with voice recognition, 7” touchscreen with rear view camera, Android Auto & Apple CarPlay compatibility, wireless phone charger, remote central locking, cruise control, lane keeping assist system, driver attention alert, forward collision avoidance (car & pedestrian), tyre pressure monitoring system, manual air-conditioning, multiple airbags, manual speed limit assist, ABS, hill start assist and electronic stability control. Step up to the ‘K3’ specification and you will additionally get a chrome beltline, LED rear fog lamps, LED rear lamps, chrome interior door handles, high-gloss centre fascia, cloth & leather-effect upholstery, additional cup-holder, TomTom navigation & WiFi, steering wheel remote control and rear parking sensors, while ‘K4’ builds on the ‘K3’ specification by adding 17” alloy wheels, rear privacy glass, auto wipers, electric dimming rear view mirror, an 8” touchscreen and dual-zone air-conditioning with an auto window defogger. Range-topping ‘K5’ specification completes the comprehensive new Ceed line-up with the addition of LED headlamps, heated steering wheel, heated front & rear seats, ventilated front seats, sliding arm-rest, leather upholstery with memory function on driver’s seat, smart key with push button start, blind spot collision warning and an electronic parking brake with auto hold functionality. 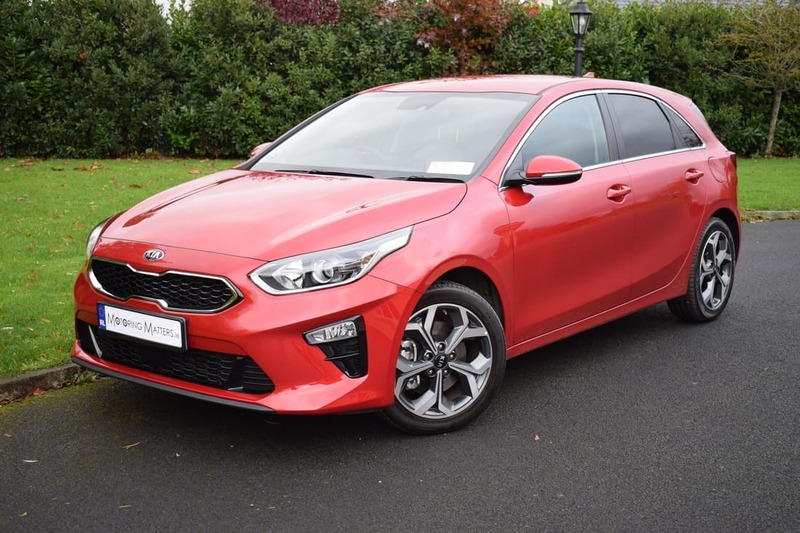 The new Kia Ceed is available with a choice of 2 turbo-petrol (T-GDI) engines (a 1.0-litre with 120bhp and a 1.4-litre with 140bhp) and 1 turbo-diesel (CRDI) engine (a 1.6-litre with 115bhp). 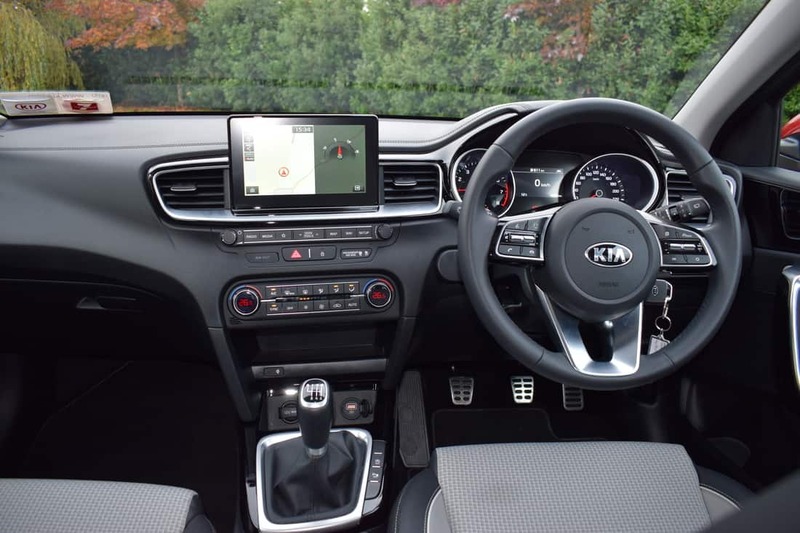 The 1.0-litre T-GDI engine is available with K2, K3 and K4 specification levels, while the 1.4-litre T-GDI engine is reserved for the K5 specification in 6-speed manual guise, or K3 specification when specified with Kia’s smooth 7-speed DCT automatic gearbox. The 1.6-litre CRDI engine is only available in K3 and K4 specification levels. 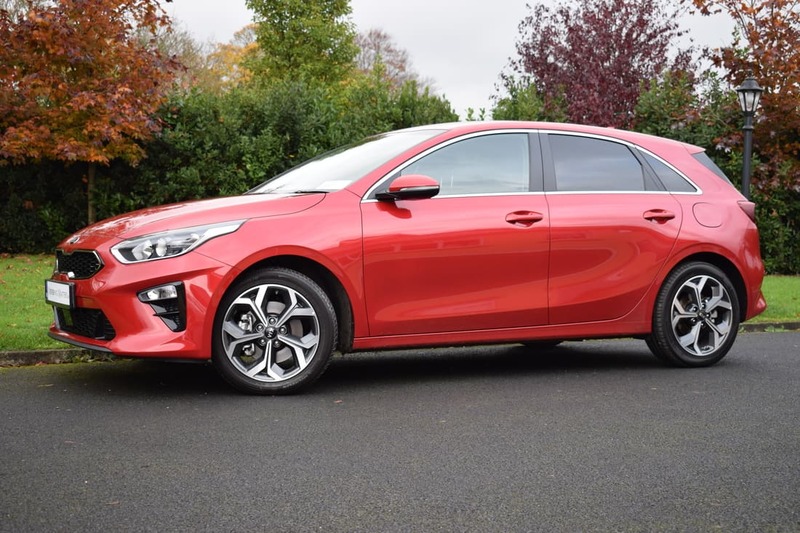 My test car was a new Kia Ceed ‘K4’ 1.0-litre T-GDI (120bhp turbo petrol engine) 5-door hatchback, 6-speed manual finished in stunning Infra Red metallic paint. 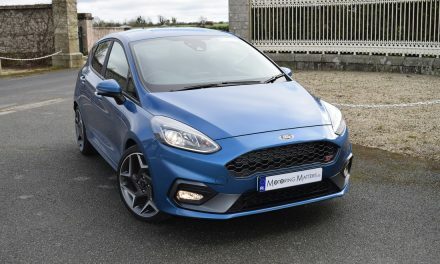 The peppy 1.0-litre engine provides 120bhp and 172Nm of torque for quick acceleration, while the 0-100km/h sprint can be completed in just 11.1-seconds. A top speed of 192km/h is possible (where permitted) and fuel consumption as low as 5.4l/100km is achievable on an extra-urban driving cycle. With Co2 emissions of 127g/km, annual road tax is just €270, while the diesel engine produces as little as 99g/km. Tighter body control in the new Ceed leads to greater driver confidence under cornering and greater stability at higher speeds too. Front suspension is by MacPherson struts and an anti-roll bar. A multi-link arrangement with trailing arm and anti-roll bar are employed at the rear. 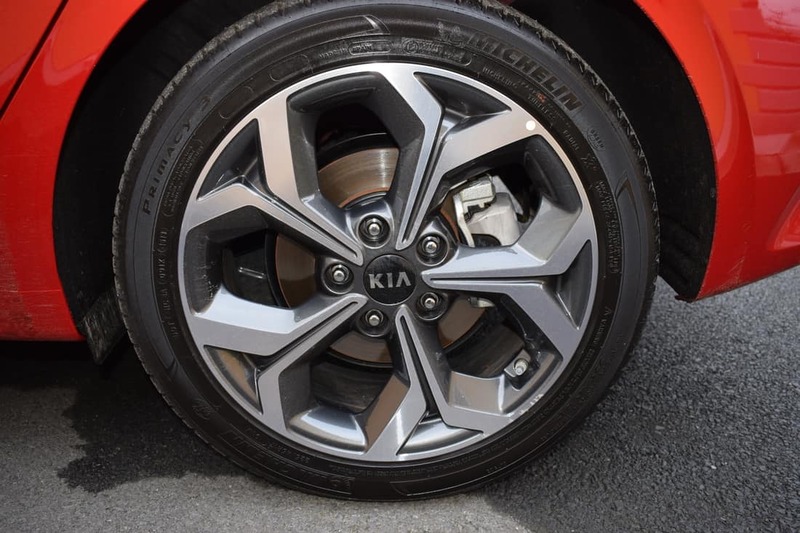 Kia has tweaked the front spring rates, ratcheting up stiffness by 40%, and the torsional rigidity of the front stabiliser has been reduced by 22% – the aim of these modifications being greater mechanical grip and more incisive handling, causes also helped by the car’s wider axle tracks. 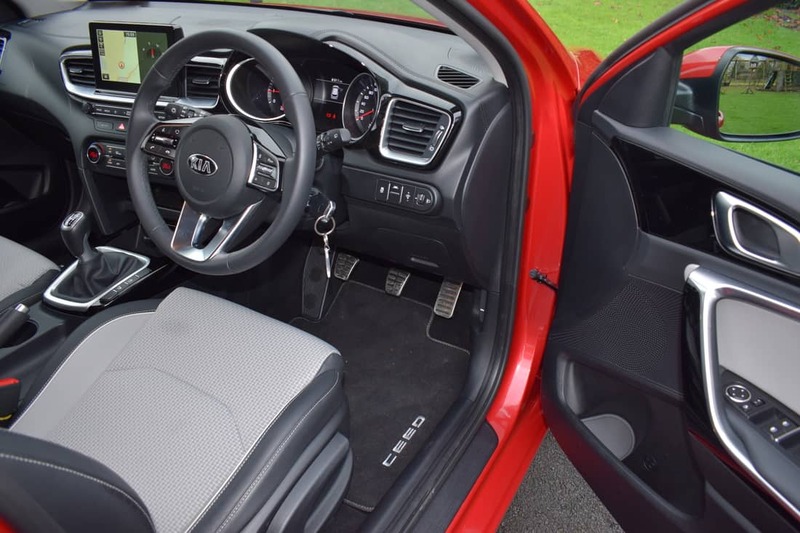 The new Kia Ceed is a very easy car to drive, while excellent ergonomics ensure that all of the major driving controls are within easy reach of the driver. The light controls and large windows help make maneuvering through town as easy as possible – helped in no small part by the standard reversing camera on all models and rear parking sensors from K3 specification upwards. 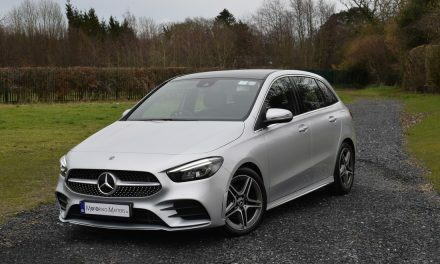 The cloth and leather-effect seats in my test car were very supportive and there is ample adjustment available on the driver’s seat to ensure that even tall drivers can get comfortable behind the wheel. 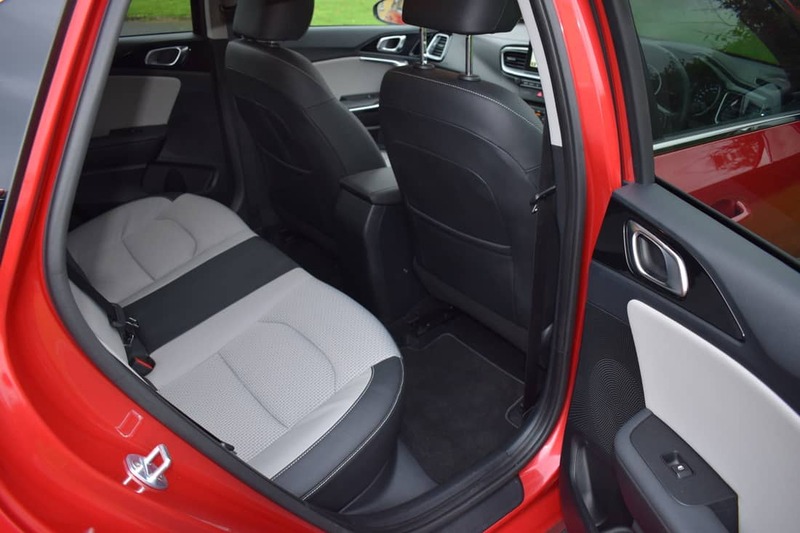 Thankfully, back-seat comfort hasn’t been forgotten – space in the rear seats is very nearly as generous as is the front. As a result, there’s enough room for a six-foot-tall passenger to sit behind an equally tall driver and the soft central seat and almost flat floor means there’s space for three adults to sit side-by-side. 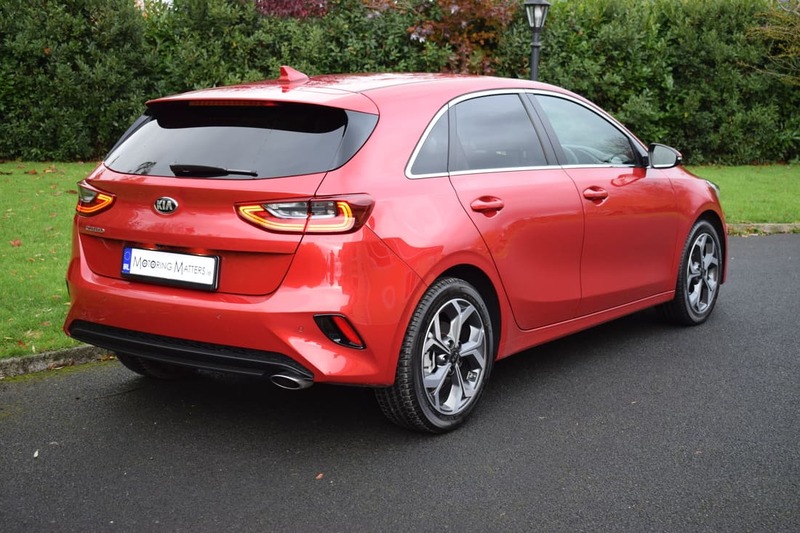 Ex-works prices for the new Kia Ceed start at a very reasonable €22,695, while my test car specification is priced at a very competitive €25,695. Kia’s standard 7-year/150,000km warranty provides all the reassurance needed for peace-of-mind motoring for the years ahead. 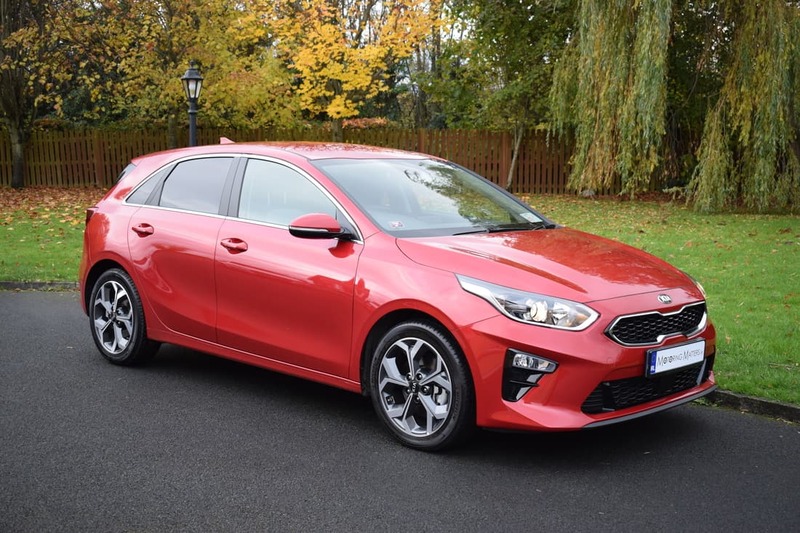 Overall, the new Kia Ceed is a very likeable and spacious family car, is very well equipped, provides excellent value for money and, with special ‘191 deals available now for orders placed before December 19th, is quite possibly the best investment you will ever make. PreviousNew Car Registrations Down 11% in October 2018. NextNew Volvo V60 D4 Inscription Automatic – Full Review.